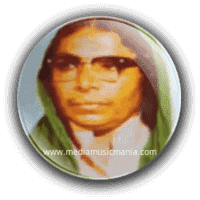 Mai Noor Bano was Sindhi Singer, she was most popular Sindhi Classical Music, Sindhi Lok Music, Sindhi Folk Music, Sindhi Sehra Music, Sindhi Lok Geet Singer. She was great Sindhi Artist and she create great name in Sindhi Music. She sung in open Mehfils, Mela and rural area marriage ceremonies, her communication with voice and people think that it is the Voice of Dard, when we listen songs of Mai Noor Bano our spirits drag us in past. She introduced herself village to city and she was very popular on Radio Pakistan Hyderabad. She was very popular in all over Sindh and Pakistan due to her great and sweet voice, her Sindhi Kafiyoon, Sindhi Kaaam and Lok Geet was very popular, her hit songs were "Mohinja Mait Ainda Moo Khi Doray Disanda" "Mohinje Mithren Maroen Te Kaker Chawe Kajan". She was sung in Sindhi language and she sung Sindhi cultural marriage songs. She has sung lot of great Lok Geet in the memory of Sindh Lok Cultural Music. She sung Sehra and Super Hit Lok Geet in her own style. Mai Noor Bano Gopang was born on 1942, she belonging with Rip Sharif near Peeru Lashari District Badin Sindh, later she shifted to Talhar Sindh. She was great singer of Sindhi Folk Music, Sindhi Lok Geet. Mai Noor Bano got musical training from Ustad Mithoo Kachhi, and Hayat Gopang. Syed Zaman Shah Rashidi introduced her on Radio Pakistan Hyderabad in 1965. Unfortunately this Legendary Artist passed her last days in poor and miserable condition and died on 14 February 1999. I have selected most popular Super Hit Sindhi Classical Music of Mai Noor Bano.